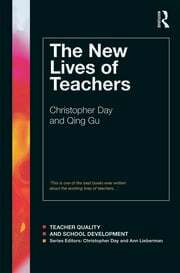 Qing Gu is Prof of Education at U of Nottingham, UK. She is author of Teacher Development: Knowledge and Context (Continuum, 2007) and co-author of Teachers Matter (OUP, 2007), The New Lives of Teachers (Routledge, 2010), Successful School Leadership (Open University Press, 2011), and Resilient Teachers, Resilient Schools (Routledge, 2014). She is (co-)editor of The Work and Lives of Teachers in China (Routledge, 2015) and The Routledge Handbook of International Education and Development (2015). Professor Qing Gu is a member of the Centre for Research in Educational Leadership and Management in the School of Education. She is the Vice Chair of the British Association for International and Comparative Education (BAICE) and a member of the Editorial Board of a number national and international high impact academic journals, including British Educational Research Journal, Compare, International Journal of Educational Development, Journal of Educational Administration, and International Journal of Research and Method in Education. She is also a Research Fellow at the Asia Pacific Centre for Leadership and Change (APCLC) at the Hong Kong Institute of Education. Her research interests are teacher professional development, school leadership and improvement and intercultural learning. Since she joined the University of Nottingham on completion of her PhD (Birmingham) in 2004, Professor Qing Gu has contributed to the success of a range of international and national research projects as Director, Co-Director and lead researcher, including an ERSC-RGC project on policy enactment in secondary schools in England and Hong Kong, an ESRC project on international students' experiences in UK higher education, a British Academy project on the impact of study abroad experiences on the returnees' work and lives, a RCUK/NCCPE funded project on school-university partnerships, a HEFCE project on university-school partnerships and two government-funded large scale research projects on teachers' work and lives and school leadership. She was co-director of two ESRC seminar series, with one on teacher resilience and the other on the needs of international students. She is currently leading two Department for Education funded projects: one on the evaluation of teaching schools in England and the other on why teachers leave or return to the profession.